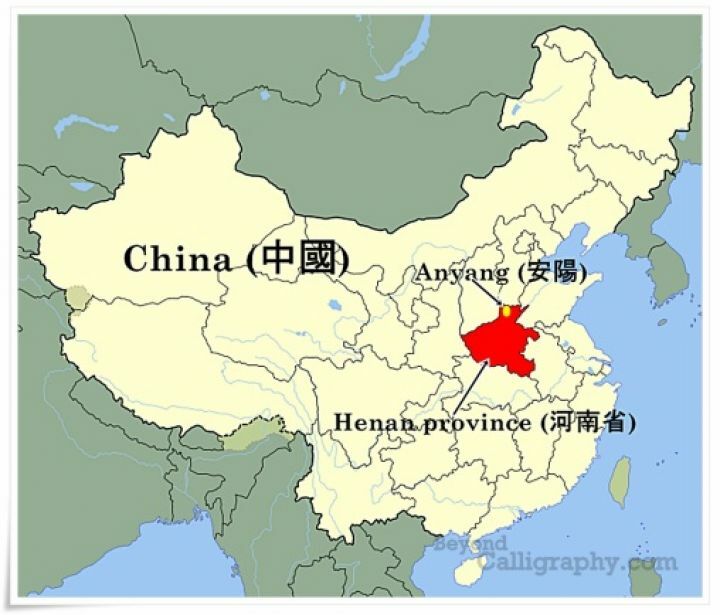 Anyang is the modern town where the last capital (Yin) of the Shang dynasty (c. 1766–c. 1122 b.c.e.) 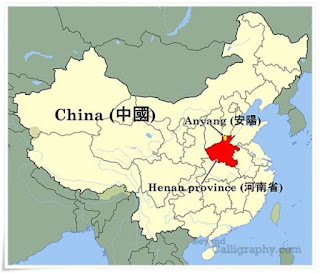 of China was located. The discovery of inscribed oracle bones there early in the 20th century and the scientific excavation of the site beginning in 1928 ended the debate on whether the Shang dynasty was historic. 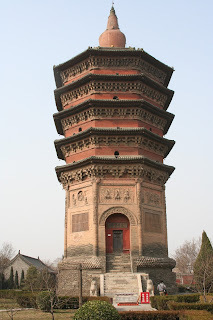 It is located south of the Yellow River in present day Henan Province. The discovery of the Shang era ruins at Anyang came by accident. In Beijing (Peking) in 1900 an antiquarian scholar became ill, and among the ingredients for traditional medicine that were prescribed for him were fragments of old bones carrying incised marks. The apothecary called them dragon bones. This scholar and his friend made inquiries on the bones’ origins and traced them to Anyang, where farmers had found them in their diggings. They began to collect the bones and decipher the writings on them, which they established as the earliest extant examples of written Chinese. Archaeological excavations around Anyang found the foundations of palatial and other buildings but no city walls. They also found a royal cemetery with 11 large tombs, believed to belong to kings, which had all been robbed in centuries past. This authenticates ancient texts that identify 12 kings who ruled from Yin, but the last one died in his burning palace and so did not receive a royal burial. 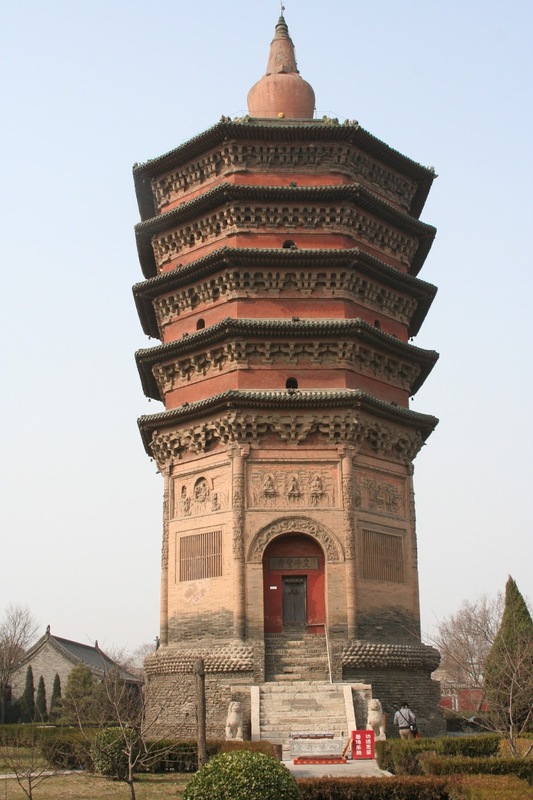 In 1976 an intact tomb belonging to Fu Hao (Lady Hao), wife of King Wuding (Wuting), the powerful fourth king to reign from Yin, was discovered. Although her body and the coffin had been destroyed by time and water, more than 1,600 burial objects were found, some with inscribed writing, which included her name, on elaborate bronze ritual vessels. Bronze vessels, jade, ivory, and stone carvings, and other objects show the advanced material culture of the late Shang era.